This is Sophie. She is around 33 years old, we do not know her exact age. She is a very loving and gentle lady. 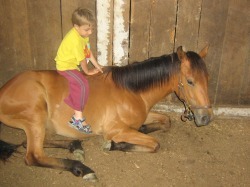 She has been here for about 8 years and is the lead mare in the pasture. She can steal your heart with just one look. Sophie has been retired due to arthritis in her front knees but she makes a wonderful pasture ornament. Sophie is on daily meds for her arthritis and would love to have you sponsor her so she can continue her life of luxury. This is Sweet Bar Passer, known as Sweetie. 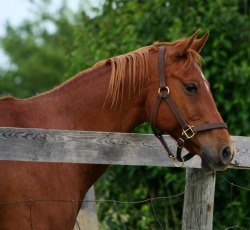 Sweetie is a registered quarter horse that also came to us from my friend Jeanne. 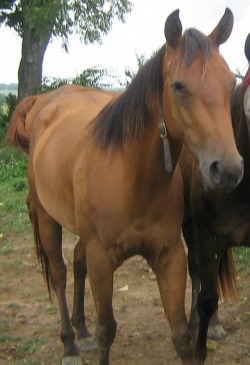 She is 16 years old and is a sweet mare once she finds out you won't put up with her attitude. She has been here since 2005. 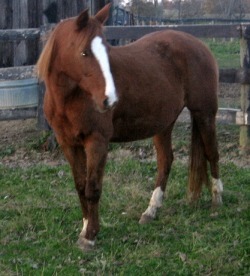 This is Minnie, she is a quarter horse pony. Minnie is 29 years old and still going strong. 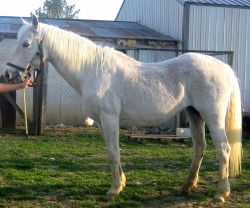 She was a show pony and has won several blue ribbons. Her family outgrew her so she came here for us to love. She came here in 2006. This is De Peppermint Bar. We call her Peppy. She was born here on the farm in 2006, her dam is Sweetie. She is 6 years old and definitely has her mothers attitude. She is a very sweet girl most of the time.